I didnt work on any video stuff this week but I did spend a lot of time with another thing I’ve been messing around with for awhile. I haven’t shared this with WW before because, you know, sometimes I forget that I make things. 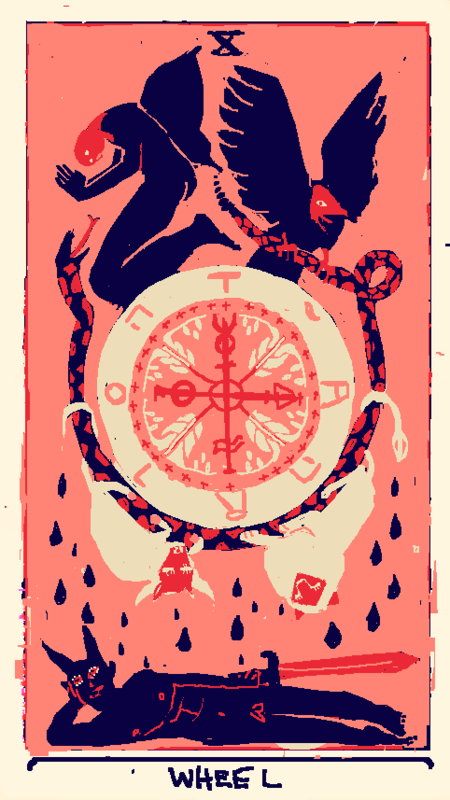 ANYWAY, Im not all that interested in tarot but I always thought the art was cool and I really like working in this particular style: flat, low resolution, iconic and with a strict palette. The plan is to finish at least the major arcana. Maybe more? just to say I did it though.